Creating your site with Wix ADI? Now you can right-click on the blue overlay to access all the editing tools. Creating your site with Wix ADI? Now you have more section types to choose from, including: Text, Image, Video, Gallery and List. Creating your site with Wix ADI? Now your site will be more compatible with screen readers for the visually impaired. Creating your site with Wix ADI? Now you can sell paid subscriptions to products, services and content. Creating a site with Wix ADI? There are new color designs to choose from. Creating your site with Wix ADI? Actions like Edit and Design are now on top of each section and there are more ways to access the section design editor. Creating your website with Wix ADI? 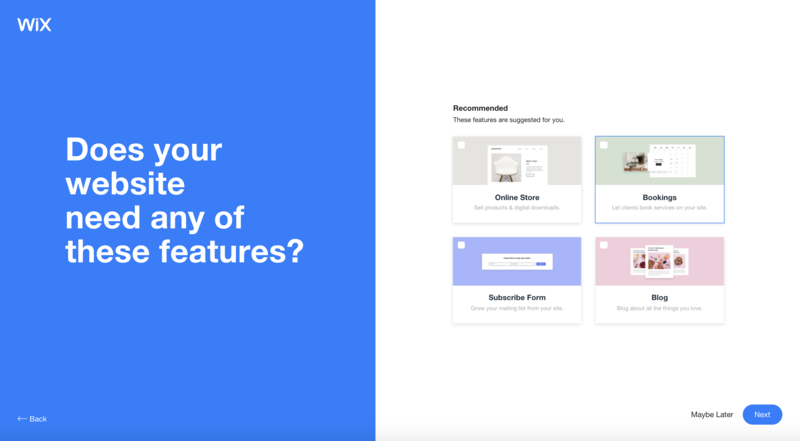 You'll see a new design when selecting the features you need for your website. Creating a website with Wix ADI? Now you can add a blog section with a dark background. Click Add and select Section to Page.